Welcome to my latest online newsletter. 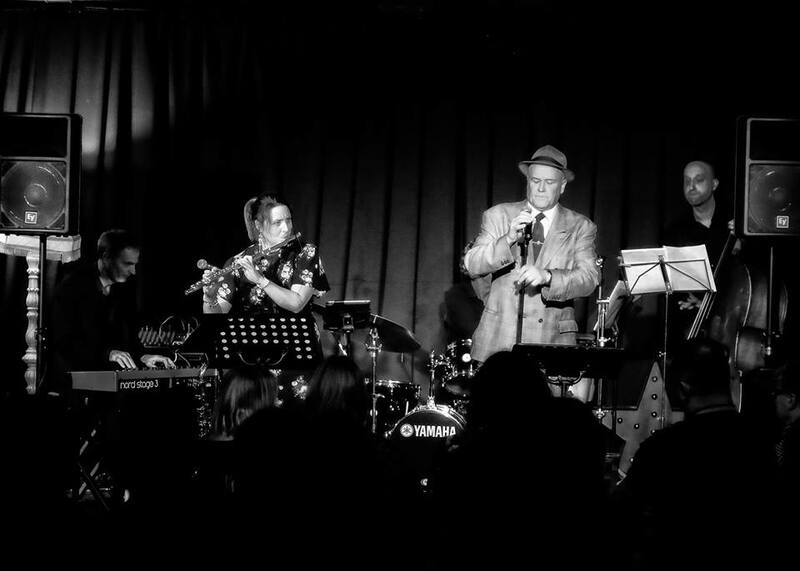 The recent Jazz Revival Lounge at The Old Bakery Studios with Andy Marshall was another great success and completely sold out. This month’s photo was taken on that most enjoyable evening and we will certainly be producing further events there in the near future. Following a relatively quiet start to the year, February is proving to be extremely busy. We kick off at The Chintz Symposium in Falmouth on the 1st with Lucy O’Day, where we will playing some of our very latest compositions with Keith Marshall on Drums and Sam Norman on Double Bass. This line up continues to create some exciting original music and our latest track Honeymoon will be available to download from all digital platforms from 24th February. You can pre order a copy here. After the success of my New Year’s Eve gig at The Alverton Hotel, Truro, it is lovely to have been asked back again, this time to play a solo set during dinner on Valentines Evening. Booking is essential for what promises to be a most romantic occasion. Charlie Franks, Plymouth, where I will be giving my first solo performance on Saturday 9th March from 8 pm. There are more dates promised here for later in the year, so watch this space. The regular Sunday lunchtime jazz dates at The Headland Hotel continue and now that one of the resident musicians at The Budock Vean Hotel has moved on, it is looking like I will be (at least for the near future) increasing the number of weekly appearances I will be making at this gorgeous venue. For the very latest gig list be sure to check out the Bookings page as this continues to be regularly updated with any last minute engagements. That is about all the news for now. I hope to see you at a future gig. I Hear A Rhapsody…..Or Two!